It was a beautiful and mild night in Montreal. The snow went away and melted on the streets and sidewalks for the most part. Because of the weather cooperating, I took the liberty to walk around downtown and take pictures of all the lights and skyscrapers in the downtown core. Holiday-Inn/rental tower (120 metres tall) in its trademark green colour. Maison Manuvie (120 Metres) had an awesome light scheme tonight. Usually, the lights on the building are the regular white lights, but tonight it was sporting a blue hue with a wave light colour pattern change. Every 10-15 seconds there would be a wave of purple lights in various shades from dark purple to lavender and then it’ll go back to a solid blue. Sunlife Building (122 metres) in all its glory. The office tower will always be a hallmark building in Montreal. Maison Manuvie in the background (changing colours in the “wave” pattern) Sunlife building and Place Ville Marie. 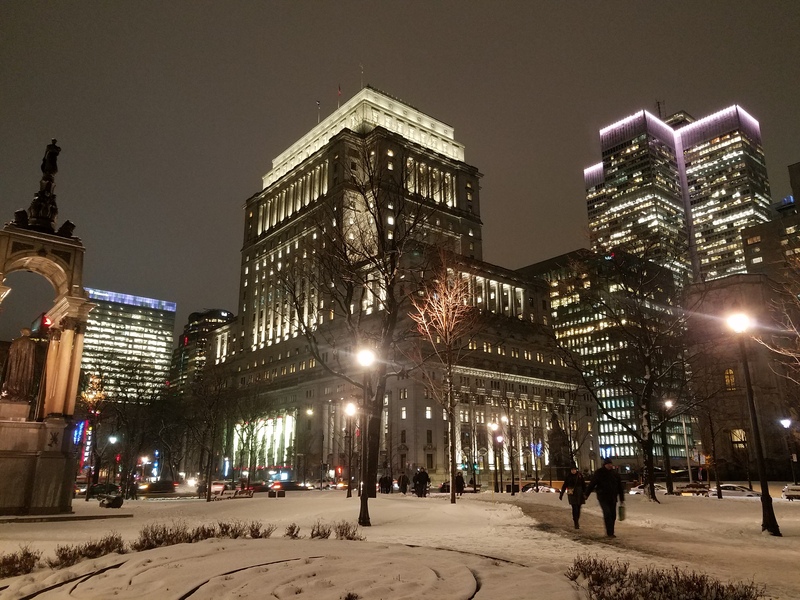 New lights have been added to 1250 Rene Levesque tower (199 Metres) recently, sporting a purple colour. I must say it adds a nice, subtle touch to the skyline. A highrise cluster consisting of office towers in the foreground and new condo towers in the background. To the left, we see 1250 Rene Levesque (199 metres) in the middle is La Laurentienne bank building (102 metres) and to the right CIBC tower (187 metres). In the background, we see Roccabella condos (148 metres) and Icone condos (147 metres). Deloitte tower (135 Metres) making its presence felt. The tallest tower in Montreal, Le 1000 (215 metres tall from St. Antoine) dominating the skyline. The Marriot Chateau tower (139 metres) also known as the “cheese grater” sporting red and purple colours on the sides. The building has been an icon in the city since the 1960s. Place Ville Marie (188 Metres) looking stunning as always. The Olympic house of Canada at 500 Rene Levesque (110 Metres) sporting the Olympics rings. Courtyard Marriot tower on Rene Levesque (138 metres) in blue tonight. The tower does change colour on occasion, from red to green to blue. Complex Desjardins tallest tower (152 metres) in its iconic green lights. All of Complex Desjardins is lit up in green (the same colour as the company logo) as well as the base being lit up adding to the street level light downtown. With more towers underway and more renovations, we’re seeing more lights added to the city. 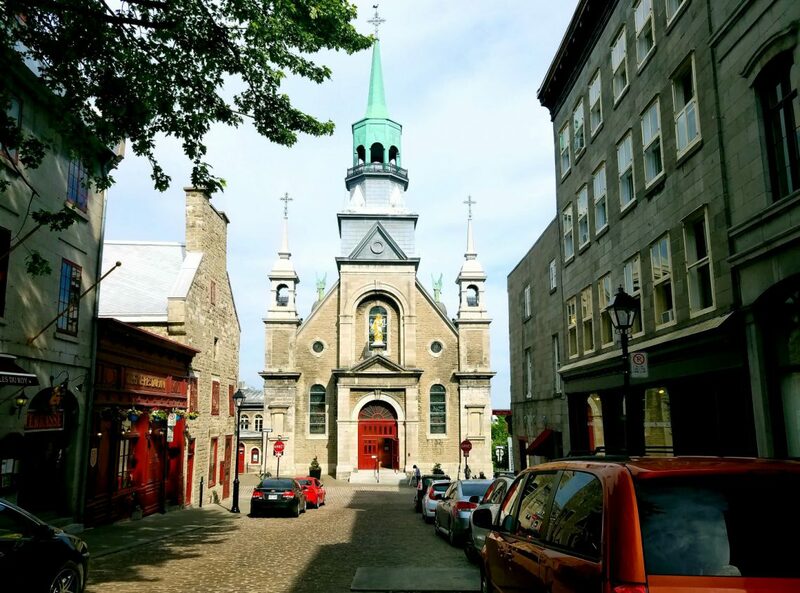 The beautiful thing is that Montreal does it right, where the lights don’t blind your eyes, but rather, it adds to the life of the city no matter where you are. I hope you all enjoy this update!